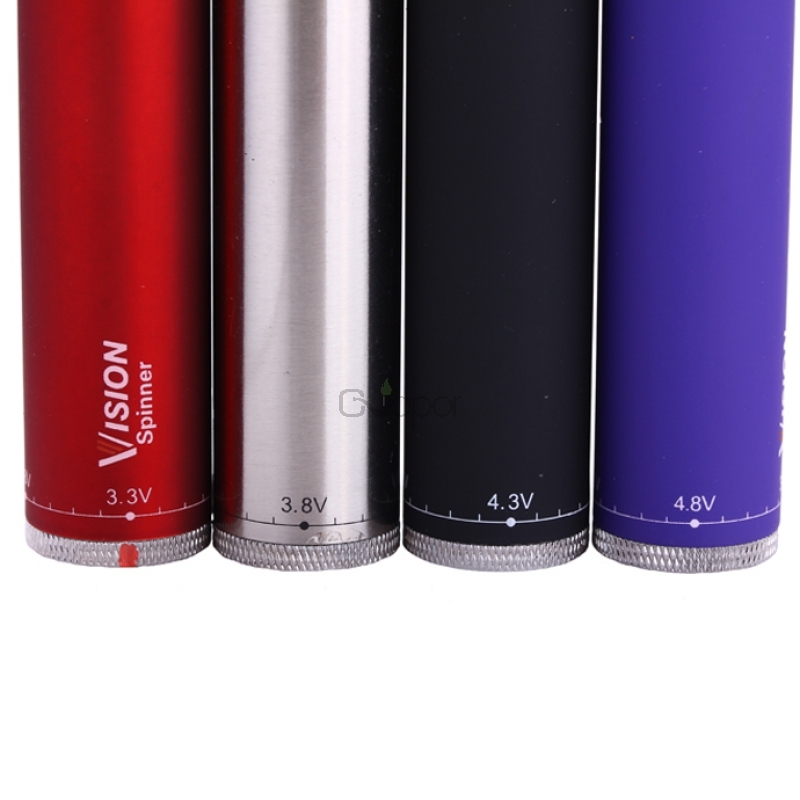 This Vision Spinner I battery has a 1300mah capacity and a meduim size that would cause little problem in carring it. With the calearly marked voltage setting in the battery bottom, you could quickly adjust the battery to the best working condition you prefer. 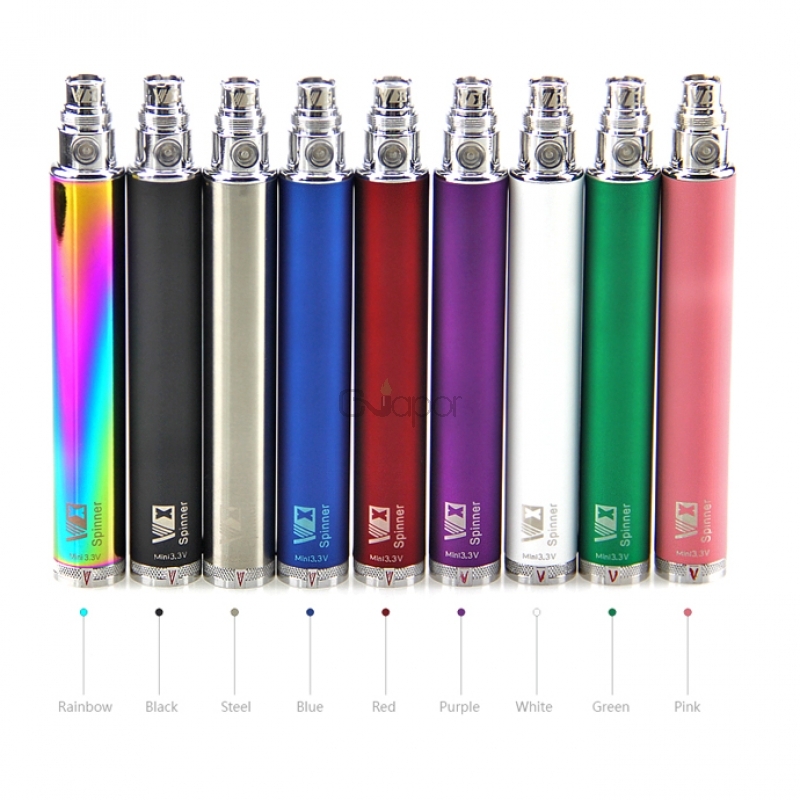 As the battery has many protection design, you could enjoy your vaping without warring about the safty problems. 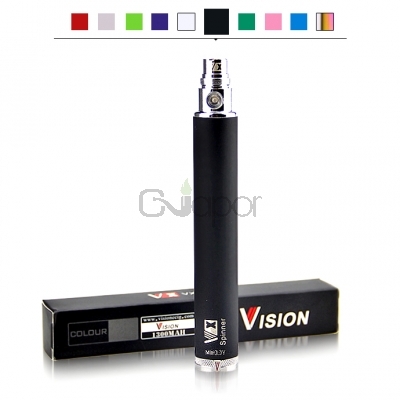 Get a Vision battery, enjoy a better and safer vaping life. 1. Stainless steel body design. 2. Long service life with more than 500 times charging cycles. 3. Voltage variable: 3.3V to 4.8V with an improved bottom pin. 4. Low voltage protection: when the battery voltage is lower than 3.3V, the battery will shut down automatically. 5. 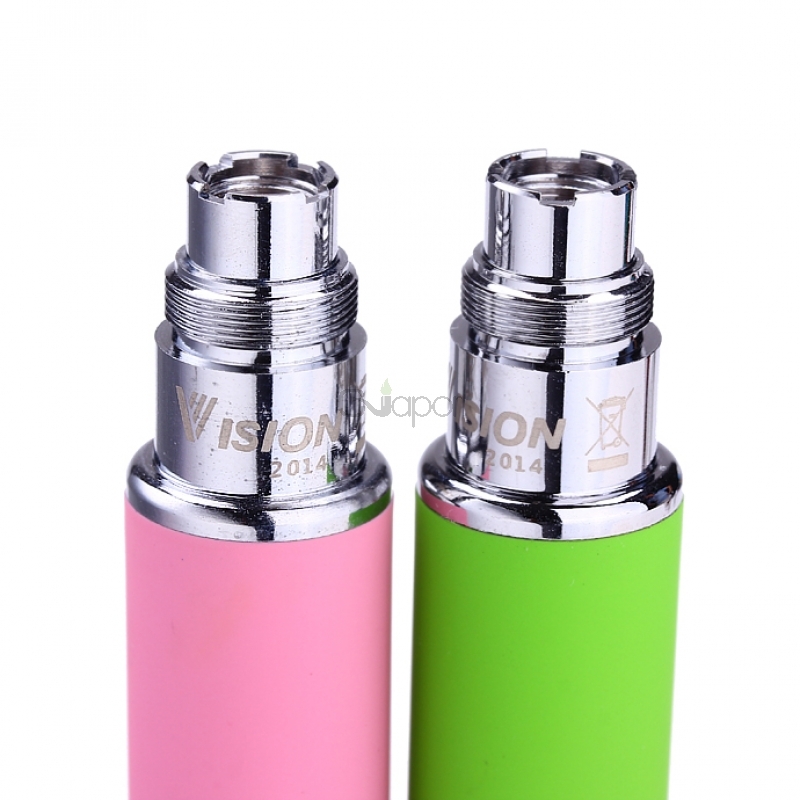 Short circuit protection: the battery will shut down automatically when the atomizer is short circuited. 6. Over Discharge Protection: when the battery is discharged or over charged, the bettery will automatically turn off. The LED will blink 5 times indicating that a charge is need. 7. Power indication (White 100-60%, Blue 60-30%, Orange 30-0%). 8. 10 seconds cut off protection: If the button is pressed for 10 seconds, the battery will be shut off until the button is released. 9. 5 click on/off button: press the button 5 times within 2 seconds the white LED will flash. This can protect the battery from being activated when you do not want or do not use it.